The traditional January jobs boom saw advertised vacancies in the engineering sector soar by a staggering 61.9% last month, according to the latest job market statistics from CV-Library, the UK’s independent job site. What’s more, vacancies also saw an increase of 9.3% when looking at year-on-year data. Not only this, but applications in the industry sky-rocketed in January, increasing by 77.2% when comparing data with December 2018 findings. While this appears to be positive news for businesses, this comes as little surprise, given that the start of the year is often a busy time for recruitment after the December slow down. Looking at the bigger picture, the findings reveal that applications were actually down by 6.5% year-on-year. Yet despite this fall, the amount of candidates in the industry registering their CV on CV-Library was up 23.4% year-on-year. This suggests that while professionals may not have made their next career move yet, many could be preparing to do so. Lee Biggins, founder and CEO of CV-Library, comments: “Our latest job market statistics are a bit of a mixed bag. While the figures seem largely positive for this month, we simply cannot ignore the fact that candidate applications in the catering industry are down year-on-year and it’s no secret that the government’s failure to agree an effective Brexit deal is the key driving factor behind this. “What’s more, unemployment is at its lowest rate since the mid-70s and while this is good news for the labour market and our economy, it’s having a knock on effect on the job market, with less candidates actively looking for work. 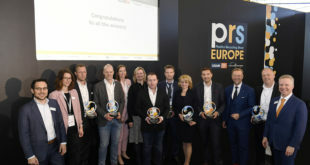 The statistics also reveal that average salaries for new jobs in the industry rose by 1% year-on-year, as organisations strive to provide the most competitive job offerings. * Streamline your recruitment process: Make sure it isn’t too lengthy and communicate with candidates throughout. Otherwise you risk them losing interest or ghosting your company. * Offer competitive packages: Today’s job hunters know what they want and that means your company needs to tick all the right boxes. Don’t just focus on salary; be sure to offer great perks, company culture and development opportunities. * Target passive candidates: With less people actively looking for a job, you’ll have to work harder to coax professionals out of their existing roles. Try referral schemes within your business and use CV search to help find passive candidates. * Build your employer brand: Another way to target both passive and active candidates – spend some time replying to feedback left on review sites and be sure to make the most of your social media accounts and company careers page. * Get your onboarding process right: Once you’ve made a new hire, make sure you give them the training and inductions they need to settle into the role. Otherwise you risk them leaving early, putting you back to square one. 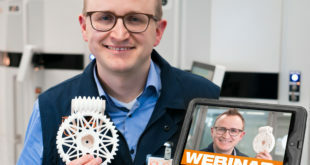 Webinar: Why should gears be 3D printed instead of machined? Do you receive workplace perks? Nearly three-quarters of engineers don’t! What are the benefits of plasma cleaning?